Our advanced SSL hijacker SDK is a brand new technology that allows you to access data that was encrypted using SSL and perform on the fly SSL decryption. 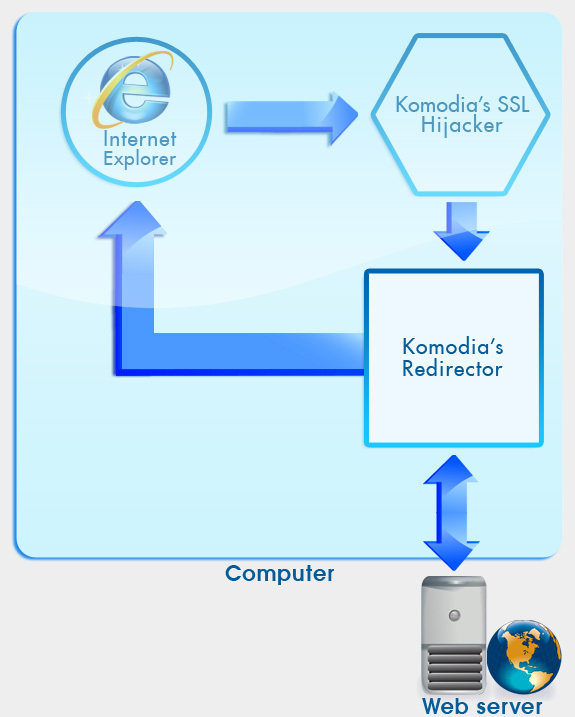 The hijacker uses Komodia’s Redirector platform to allow you easy access to the data and the ability to modify, redirect, block, and record the data without triggering the target browser’s certification warning. Parental control: Filter SSL data based on keywords and URI – unlike current SSL filtering, which is based on IPs. Secure anonymizer: strip data revealing information from SSL traffic. Intercepts application using either LSP or browser specific component (like BHO), depending on the project requirements. The SSL Digestor and it works for most SSL aware applications (it works for all the browsers), it also works on 64bit environments, the Digestor performs some extra manipulations on the session certificate but in a way the browser is not alerting the user, regardless, the session’s data always remain the same. You can read how it works exactly: How SSL Digestor works. The following illustration shows Komodia Redirector being used for web content inspection (this is only one scenario out of many). Regular operation without Komodia’s SSL hijacker. 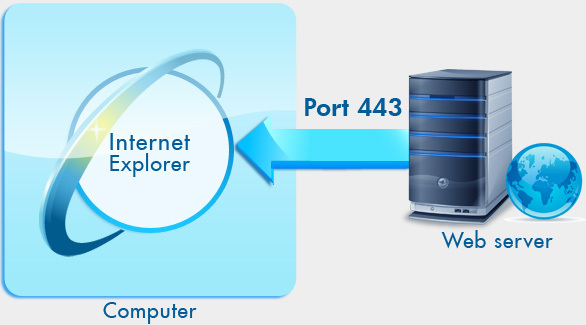 Internet explorer connects to a web server on port 443 using SSL. The data is encrypted. Internet explorer and the web server communicate directly. Komodia’s SSL hijacker intercepts the communication and redirects it to Komodia’s Redirector. The channel between the SSL hijacker and the Redirector is encrypted. At this stage, Komodia’s Redirector can shape the traffic, block it, or redirect it to another website. Communication between the Redirector and the website is encrypted using SSL. All data received from the website can be again modified and/or blocked. When data manipulation is done, it is forwarded again to Internet explorer. The browser displays the SSL lock, and the session will not display any “Certificate warnings”. Contact us to receive your 14 days free trial. You can view the Redirector’s price quote and optionsl SSL modules here.